CULA is a website monitoring solution which controls site availability and response times on any chosen websites, and notifies users of any site downtime via email. CULA also offers users more monitoring features such as content check and Alexa rank. Most importantly it's free. I also have access to data from 6 months ago which is not too likely in other solutions. Also has interesting features like site Content Checking. There is email and slack but no SMS notification! Only web front-end, with responsive mobile support, but no native android nor any other mobile platform for analysis. Other tools like costs us. Here it is for free!It is free! It is simple yet very good availability monitoring tool! I like the time-series view (ninja). It is free! It is simple yet very good availability monitoring tool! I like the time-series view (ninja). Would be great to provide more integrations, i.e. with slack. I understand this is not a big APM suite but would be great if the tool had a way to integrate with agents to collect simple metrics about the site. That could be good source of details for correlation with availability time series. CULA is a free solution. How does CULA compare with other IT Management apps? There are currently no reviews of CULA. Below are some frequently asked questions for CULA. Q. What type of pricing plans does CULA offer? Q. 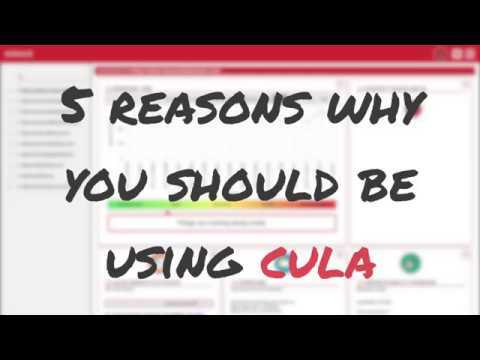 Who are the typical users of CULA? Q. What languages does CULA support? Q. Does CULA support mobile devices? Q. Does CULA offer an API? No, CULA does not have an API available. Q. What other apps does CULA integrate with? Q. What level of support does CULA offer?